The tables are turned on fiction's greatest detective as he becomes the focus of an investigation into crimes that include blackmail, destruction of evidence, and even murder in The Testament of Sherlock Holmes. 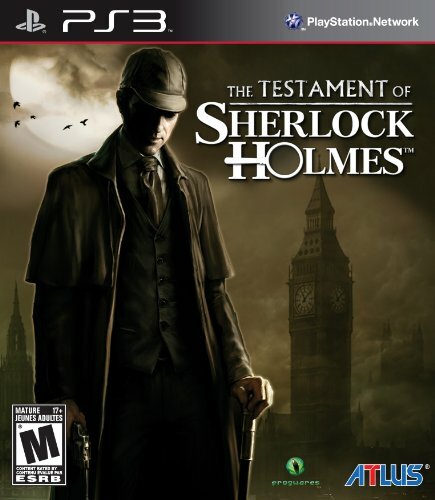 Set in London in 1898, players take on the role of Holmes as he retrieves a priceless set of jewels, only to be accused of replacing them with cheap imitations. With evidence mounting, the... See more city begins to lose faith in the detective, and gamers must prove his innocence by examining crime scenes, collecting evidence, questioning suspects, and using his famed deduction skills. Xbox 360 gamers can switch between first- and third-person views as they explore the city freely, choosing which leads to follow and which to ignore, and even reenacting crimes to determine a suspect's guilt or innocence. Things are never quite what they seem, though, and as Sherlock's behavior gets increasingly erratic, players take on the role of his trusty sidekick Doctor Watson and try to determine if Holmes is capable of the crimes for which he has been accused.